Search for a tire size by have a robot to find within seconds available quantity and cost within your online tire supplier. 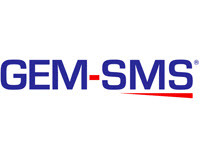 Yes if you have a preferred supplier, GEM-TIRE will promote them and what you have in stock first. In tire season, spending 15-20 minutes to find what the customer is looking is not efficient… In most case shop owner loose the sales. Question: How many sales are you missing in a week? By searching within all of your online distributor at the same time, your will save from 2 to 15$ on one tire, what kind of profit is that making if your keep the economy for you?